Mongillo Jewelers has been repairing your family heirlooms and most prized pieces since 1958. We take the greatest care in protecting our customers’ items, securing all repair work in our safe nightly. Our goldsmith, jeweler and watchmaker are highly trained professionals and experts and guarantee the repair work that is completed. 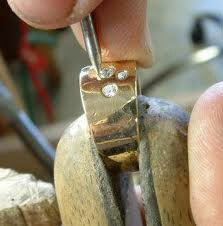 Mongillo Jewelers has quick turn around, usually within 7 to 10 days. We also offer an EXPRESS service for those items that are needed quickly. Satisfied customers is our top priority and we strive daily to not only meet, but exceed your expectations. When you receive your jewelry back from being repaired, it will have that sparkle and shine like when it was new. Our satisfaction is seeing you smile.